The mid-sized SUV is perfect for an expanding family or a more grown up lifestyle. 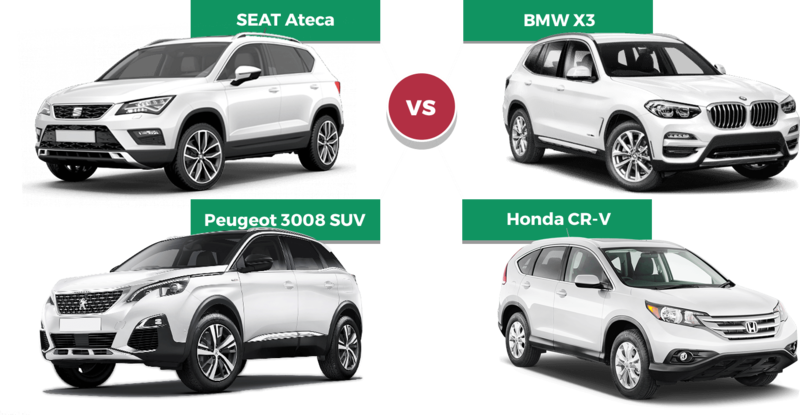 Take a look at the SEAT Ateca, BMW X3, Peugeot 3008 and Honda CR-V to find out. A growing family calls for a grown up car. Today’s automotive market is being taken over by the SUV craze for a more practical approach to everyday driving. Time to call in the mid-sized SUV! Don’t panic, it doesn’t mean that you have to sacrifice all of the performance, luxury and safety of the saloon car. What it does mean is a little more room and easier loading for your family and your weekend hobbies. What is the Best Looking Mid-sized SUV? 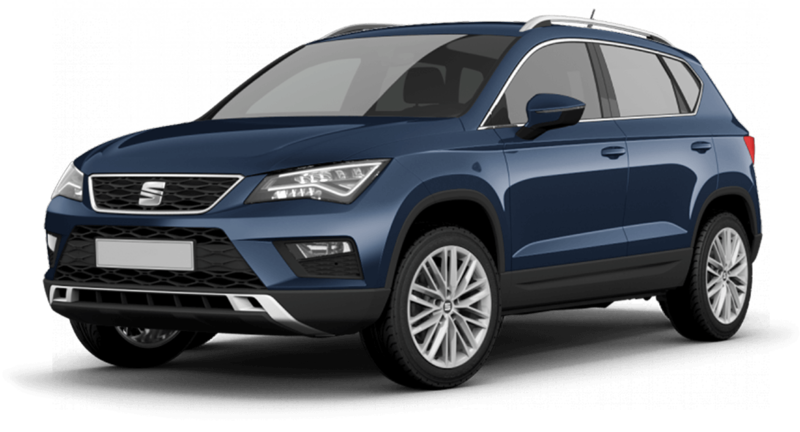 SEAT brings a fiery Spanish temperament to the mid-sized SUV segment, with the great design of the Ateca that will look fantastic parked on any driveway. 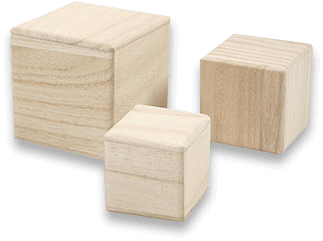 The interior is modern, simple and functional, and will demonstrate your practical side. Just because you’ve chosen a grown up car, doesn’t mean you can’t set your own style. The Ateca is available in seven variants: SE, SE Technology and SE L for the sensible driver; lively spirits might go for the FR or FR Sport; while elegance lovers will gravitate towards XCELLENCE and XCELLENCE Lux. Ten exterior finishes are available, as well as 17”, 18” and 19” alloys. The BMW X3 is already well established in the market as a premium mid-sized SUV. It has BMW DNA written all over it, from the aggressive front end and the kidney grille to its strong profile. The interior proves that the X3 is a luxury vehicle with acres of leather as standard, and a choice of several wood and aluminium finishes. The standard BMW SE has 18” alloy wheels, while the top of the range, M Sport has a unique aerodynamic kit, sports seats and aluminium/pearl chrome interior trim. 20” alloys are standard here, with 21” wheels as an option. For a breathtakingly beautiful family car, look no further than the Peugeot 3008 SUV with its streamlined, sharp silhouette. A menacing front grille with the prancing lion emblem, blacked out rear windows and optional Black Diamond Roof give this Peugeot captivating presence and instant recognition. The interior has been given the same treatment, providing a premium environment whether you’re on the school run, off to work or enjoying some leisure time with friends. The 3008 comes in five trim levels: Active, Allure, GT Line, GT Line Premium and GT. Each of them offers numerous upgrades, like 18” and 19” wheels or full grain leather seats. 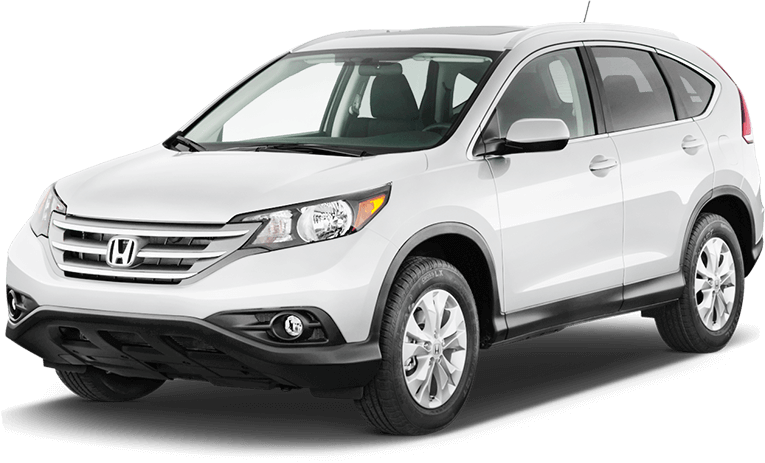 Another well-known name in the mid-sized SUV class, the Honda CR-V might look simple from the side view but is more interesting from either end. Wrap around lights, a sculpted bonnet, twin exhausts and rear roof spoiler are complemented by a choice of eight exterior finishes to enhance either your sporty side or refined character. 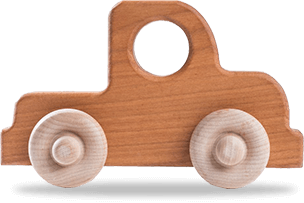 The interior is spacious and inviting, and wood trim is a sophisticated touch. In the driving seat, all the clever tech is within easy reach, providing a relaxed drive, every time. The CR-V comes in five grades: S, SE, SR and EX with the SE and SR trims offering 7-seat configurations. 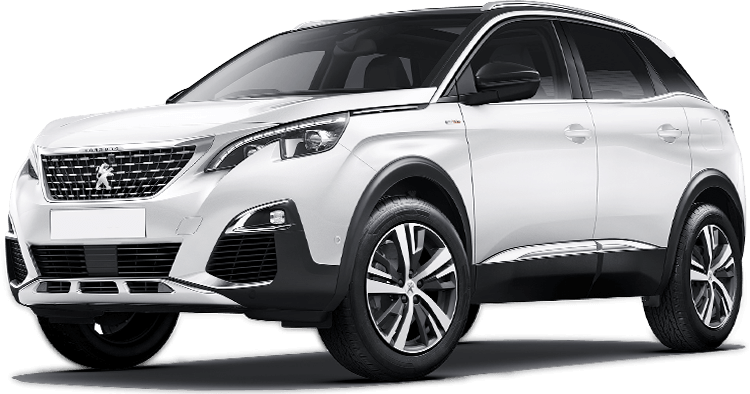 While many will love the sporty looks and premium design of the BMW X3, we think that the elegant Peugeot 3008 takes the win when it comes to looks as a piece of indulgent French design. Which Mid-sized SUV has the Best Handling? The overall length of the SEAT Ateca is 4.36m, with the width at 2.07m and a ground clearance of 18cm. Despite its size, the turning circle measures an impressive 10m, which is a big plus as it beats all other rivals, making it excellent for those tight turns in the school car park! For more demanding conditions, 4DRIVE is optional and provides off-road and snow modes. Self-parking Park Assist is a part of the standard equipment, as is Front Assist and cruise control for a more relaxing commute. A rear view camera is available on higher trims. At 4.7m in length, the BMW X3 is longer than other cars in this head-to-head, but it has a comparable width of 2.09m. Thanks to its length, the turning circle of 11.9m is significantly larger than other mid-sized SUVs, but provides good ground clearance at 20.4cm. All X3s have xDrive as standard, so they’re adventure ready once you want to take a break from the city. Parking Assistant is standard with active park distance control and Reversing Assist camera, allowing perfect parking whether you’re out shopping or taking the last space at the gym. Measuring 4.47m long with a width of 2.09m, the Peugeot 3008 sits 21.9cm off the ground - the highest riding of all our mid-sized SUVs. The turning circle is 10.7m, which makes it fairly manoeuvrable while Advanced Grip Control with 5 terrain settings and Hill Assist provide the perfect driving partners for those family day trips. The 3008 is front-wheel drive which limits its off-road capabilities however, automatic emergency braking, adaptive cruise control and electric parking brake all come as standard on the S trim. Opt for the Allure trim for active lane keeping assistance. The Honda CR-V is towards the larger end of our mid-sized SUV group at 4.60m in length and 2.09m in width, and it has an 11.6 metre turning circle The S trim has a ground clearance of 19.8cm with higher spec versions having an extra cm - great for loading and unloading though little legs might struggle to climb aboard! Available in front-wheel and all-wheel drive configurations, the CR-V also benefits from adaptive cruise control, active lane keeping assist and electric parking brake on all models - the only one in our line-up to be so well-equipped. The SEAT Ateca is not only the most agile here, it also packs a solid amount of standard driving aids, which makes it our winner in the handling department. How do Mid-sized SUVs Compare for Practicality? As with most SUVs, you can expect good headroom and decent legroom in all of our models. But what else have they got in store to make your life easier? When it comes to boot space, the SEAT Ateca falls a little short of the competition with 510 litres, increasing to a substantial 1,604 litres with the rear seats folded. With 60/40 split folding, the seating configuration is a little limited compared to other models. An electric tailgate is available but only on the XCELLENCE Lux trim, which also offers additional safety assistance, such as blind spot detection and rear cross traffic alert. Wireless charging on some models helps keep all occupants happy, while Blind Spot Detection and Rear Cross Traffic Alert allows you to drive with confidence. The longest of our mid-sized SUVs, the BMW X3 allows for a spacious cabin providing occupants with a comfortable ride. It also offers 550 litres of boot space with the seats up or 1,600 litres of overall boot volume. The boot opening is quite large - great for prams, shopping, camping gear and anything else you’d like to throw in there and the automatic tailgate is a convenient standard detail. More handy features, like front cross traffic warning and wrong way assist are upgradeable to help keep your driving safer and more enjoyable. Peugeot’s 3008 has 591 litres of boot space or 1,670 litres when the rear seats are folded down. If your hands are full with luggage or children, it’s good to know that the smart electric tailgate opening is optional on Allure and GT Line, and part of the spec on higher trim levels. You’ll also benefit from ‘Open and Go’ keyless entry. Driving is made easier with lane departure warning and speed limit recognition, while a safety pack - featuring driving aids such as active blind spot detection and advanced driver attention alert - is included with the Allure. With the boot capacity almost identical to the Peugeot at 589/1,669 litres, the Honda CR-V is also a pretty practical ride. Where the CR-V excels is with its 7-seat capacity, which makes it the perfect family transportation, although this configuration does limit boot volume. Once again, hands-free tailgate operation is available, but only in the EX version. The Conversation Mirror, a wide angle central mirror enables the driver to monitor passengers more easily while a lack of central tunnel in the rear seating area means that the middle occupant won’t have to sit with an uncomfortable straddle. The 3008 may have the largest boot volume (by a fraction) but we think the 7-seat option of the Honda CR-V is a deciding factor in this round. It’s an absolute must for anyone with a large brood! Which Mid-sized SUV Costs the Least? The SEAT Ateca has a starting price of £21,880 for the 115 PS 1.0 litre EcoTSI in SE trim. The least costly diesel is the 115 PS 1.6 TDI, which will set you back £24,030, but returns the best fuel economy at 61.4 mpg (combined)*. You can have this engine in all but FR trims. Insurance starts at a tiny Group 8 for the cheapest spec but you could pay up to Group 23 premiums for the 2.0 litre TDi 4Drive auto in FR trim. A premium brand means a premium cost and so the X3 has a steep starting price of £39,120 for the 187 PS xDrive20i SE. The xDrive20d SE is the cheapest diesel variant with a starting price of £40,120 and also boasts the best fuel consumption at 53.3 combined mpg*. You’ll find that insurance will also be at a premium rate, starting in Group 28 and working up to Group 43 for the M40d Sport auto. The least costly Peugeot 3008 Active (133 PS 1.2 litre PureTech petrol) will set you back £24,109, while the best equipped GT is £36,379. For diesel, the 133 PS 1.5 litre BlueHDi 6-speed manual starts at £26,029. This engine is also the most efficient, returning 68.9 mpg* in combined driving conditions. You’re looking at insurance starting at Group 11, for the 1.2 Active, and hitting as high as Group 24 for some of the GT and GT Line 2.0 litre versions. The CR-V has a base price of £25,995 when powered by a 173 PS turbocharged 1.5 litre V-Tec engine with 6-speed transmission in S trim. The least costly 7-seater is the 1.5 litre SE at £30,965 and you’ll pay extra for the 4WD option. There’s no diesel alternative so the best you’ll get for combined fuel consumption is 44.8 mpg*. Due to the turbo engines, insurance for the CR-V starts quite high at Group 22, ranging up to Group 28. 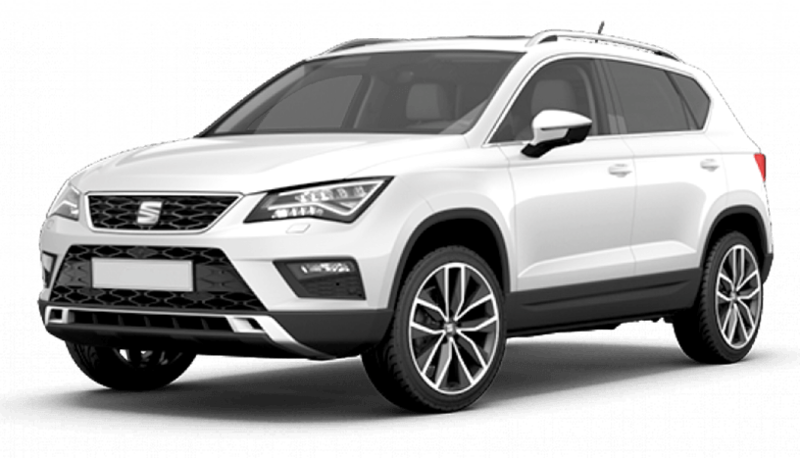 With the lowest starting price, great fuel consumption and the most reasonable insurance, the winner of the cost comparison is the SEAT Ateca! These four SUVs are all amazing in their own way and perfect for whatever stage of life you’re at, whether it’s the family-friendly CR-V or the flashy X3. However, the SEAT Ateca has proven to be the most agile and well-equipped, even in the basic trim, and being the most affordable, it’s the victor for us! Swansway Group has the pleasure to offer you mid-sized SUVs from our SEAT, Peugeot and Honda dealerships, as well as a good range of all makes at our Motor Match showrooms. Make sure to visit to get familiar with your favourite. 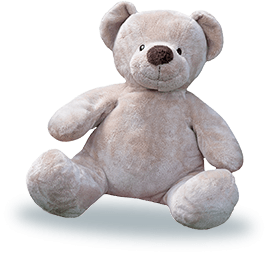 Bring the whole family or use it as an excuse to get some ‘grown-up time’. Either way, you’ll be very welcome. OTR prices correct as at October 2018 *Fuel consumption figure is obtained under standardised EU test conditions and may not be the actual fuel consumption achieved in ‘real world’ driving conditions.